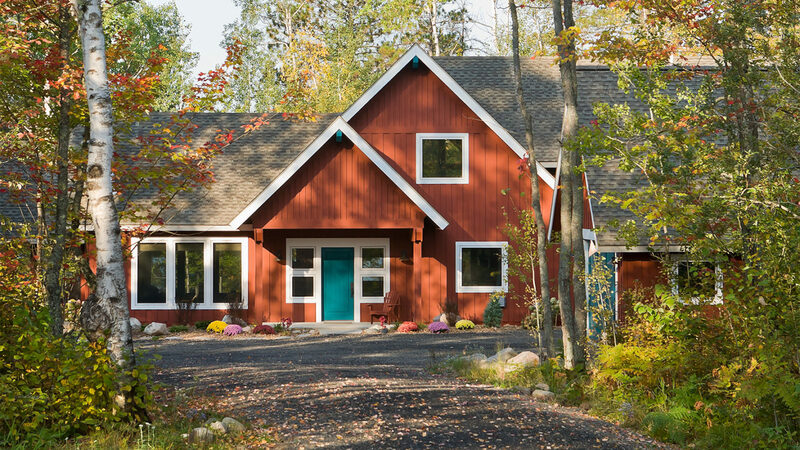 This cozy cabin set on a Northern Minnesota lake reflects the couple’s love for their Nordic heritage. 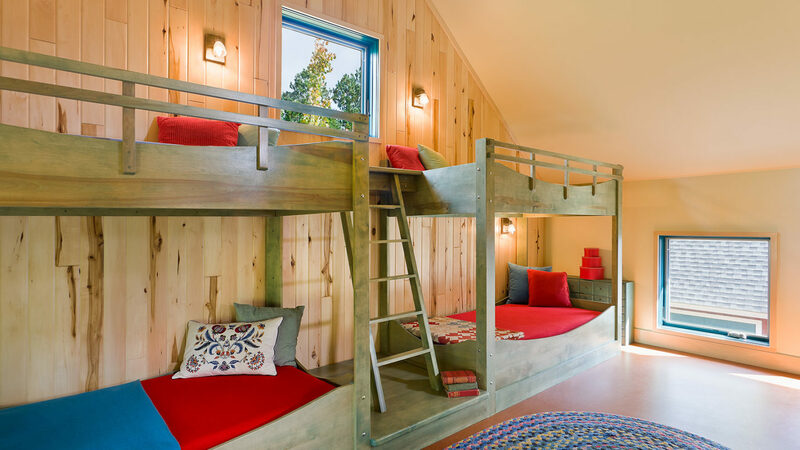 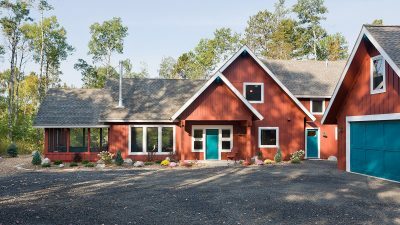 The retreat includes a study for him, sewing room for her, bunk room for grandchildren and a screened porch to relax and enjoy the views of woods and water. 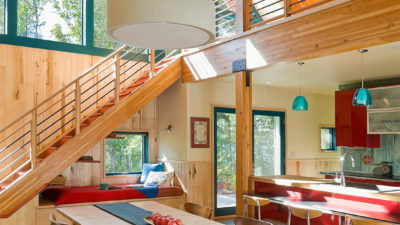 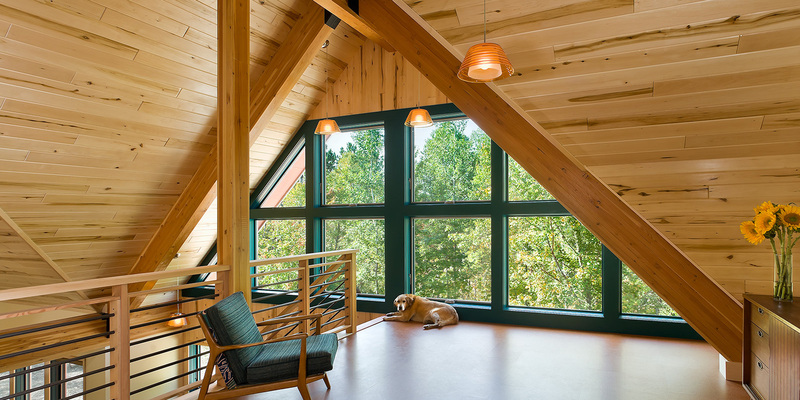 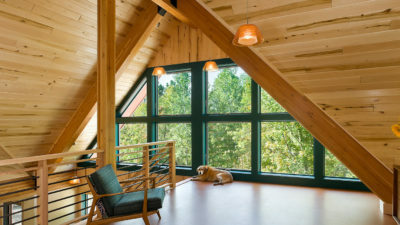 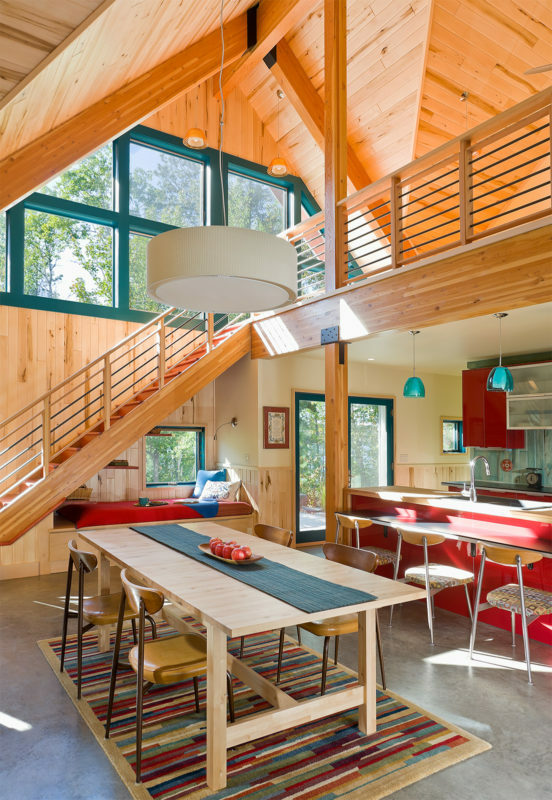 The living room and dining room sit under a basswood paneled vault, and the kitchen tucks in below the open loft. 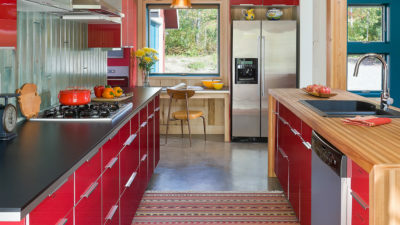 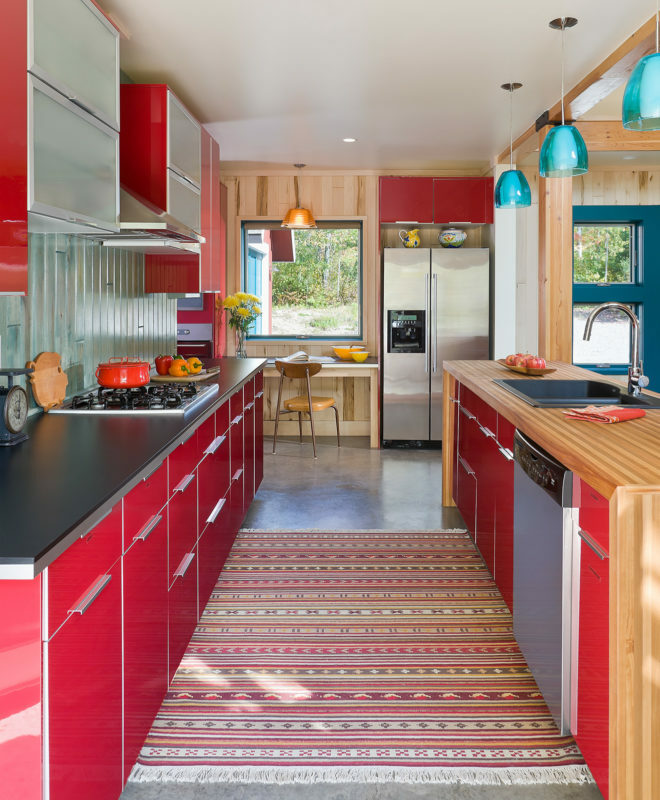 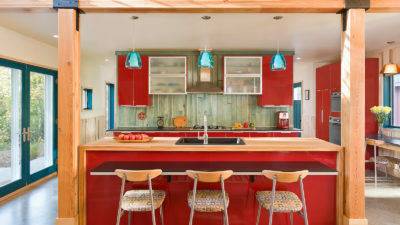 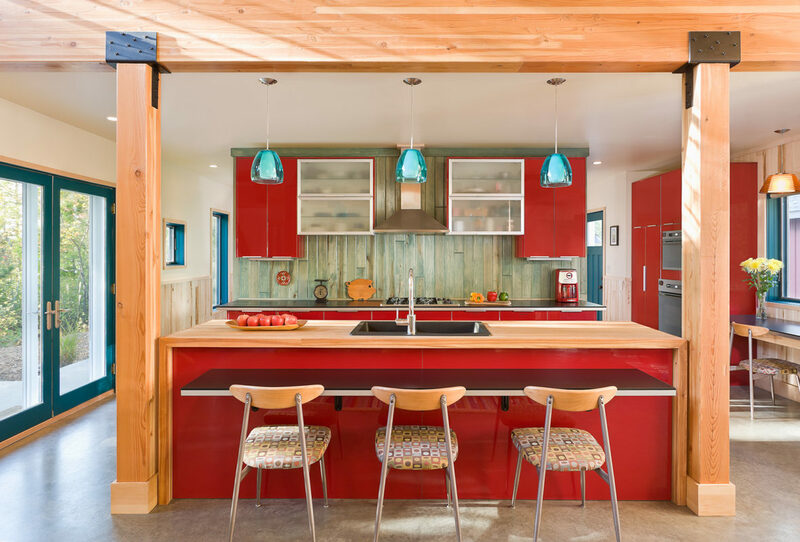 Glossy red cabinets and teal windows draw inspiration from traditional Norwegian rosemaling and provide a punch of color against the natural wood palette of the walls and ceiling. 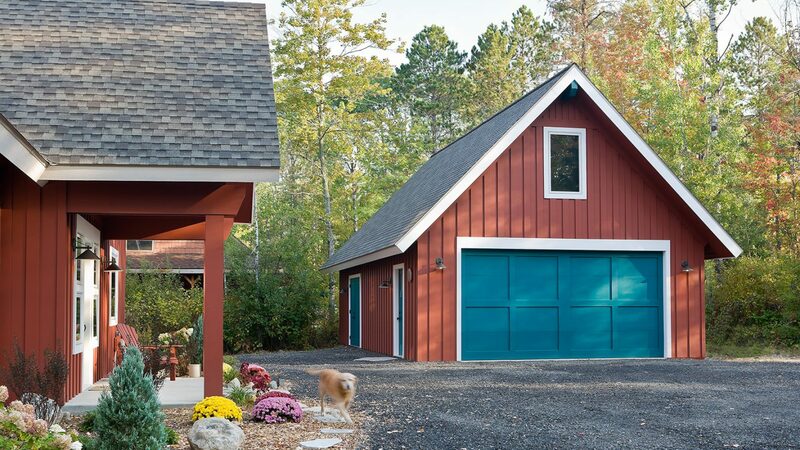 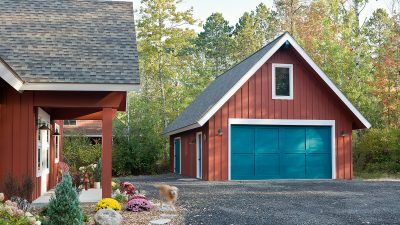 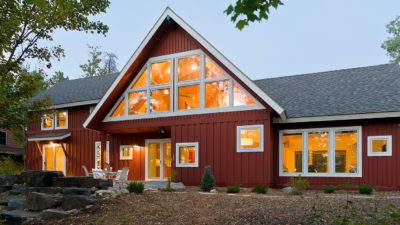 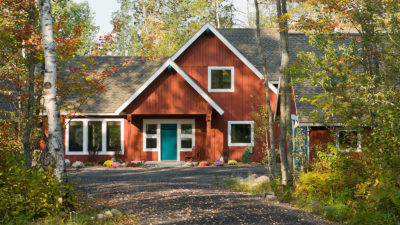 The exterior’s Falun red paint and white trim is commonly found on cottages throughout Sweden.